Richard Krushnic is a former real estate loan asset manager and housing and business contract analyst at Boston’s Department of Neighborhood Development. He is currently involved in community development in Latin America. 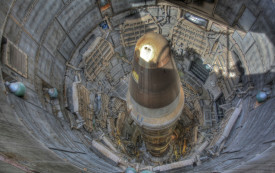 Privatizing our nuclear arsenal development is not only dangerous, but incredibly inefficient.